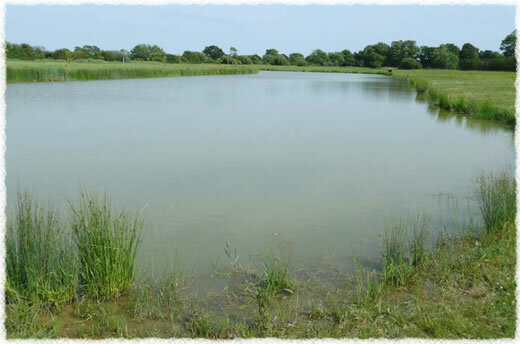 Falkenvil coarse fishery is a made up of 5 fishing lakes located between the towns of Eastbourne and Hailsham. This day ticket venue has well stocked lakes that hold a mix of fish with carp up to around 30lb, catfish to nearly 50lb along with tench, barbel, chub, bream, roach, chub and perch. Parking and toilets, disabled access, the majority of swims are accessible by motor vehicle (weather permitting). Main Lake - 4 acre lake with a mix of fish. Specimen Lake - 2 acre lake with carp to 30lb and catfish to nearly 50lb. Match Lake 1 - long thin lake with long island stocked with a mix of fish. Match Lake 2 - small 1/2 acre lake with a mix of fish. 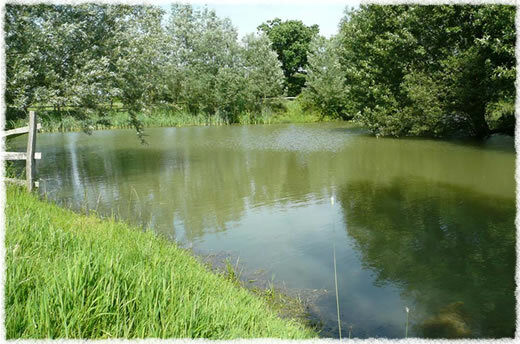 Match Lake 3 - dog leg shaped lake that holds carp, bream, chub and roach. A dog leg shaped 4 acre lake with a small island. 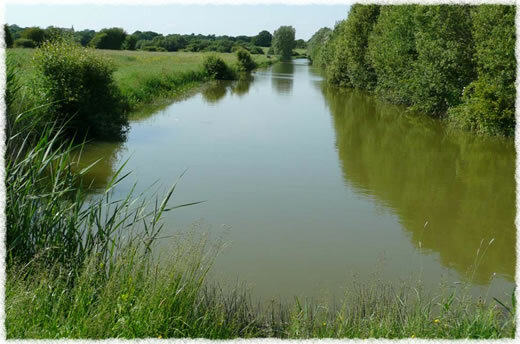 This water holds a good mix of coarse fish with carp up to 21lb with an average of around 7lb. The match record for main lake is 219lbs. Falkenvil specimen lake is 2 acres in size with many features to fish including a large island and overhanging trees. The lake is stocked with carp to 30lb and catfish to nearly 50lb. 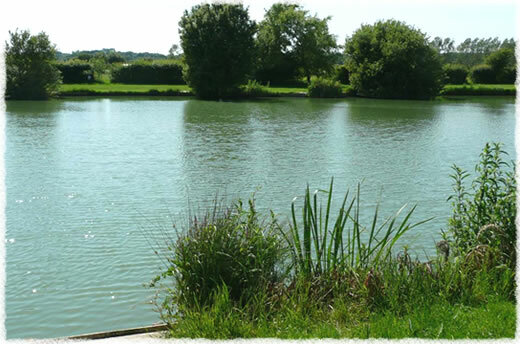 Match lake is a long lake with a long thin island that holds a mix of coarse fish including carp, barbel, bream chub and roach. Match fishing record for this water is 216lbs. Features: overhanging shrubs, water plants and a island that stretches the length of the lake. A small long thin 1/2 acre fishing lake with a slight dog leg to one end. The water holds a mix of fish with average carp weight of around 5lbs. Match record for this water is 116lbs. 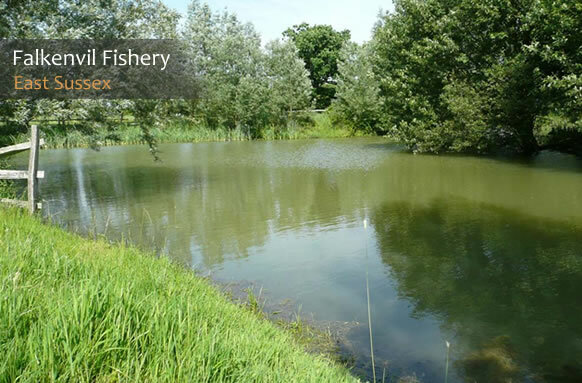 A 2 acre dog leg shaped fishing lake that holds carp, bream, chub and roach. Match record for this water is 114lbs. A Specimen Ticket entitles the holder to fish any of the lakes. Disabled Access - The majority of swims are accessible by motor vehicle (weather permitting).To discuss your personal needs please call Roland Knight on 07867 526753. Make your way to the A22 and follow this road until youare West of Hailsham. At the junction of the A22 and the A295 (Arlington Eaglesroundabout) take the A295 exit signposted to Hailsham. Follow the A295 for 0.6 miles until you reach the miniroundabout (next to the BP service station). Turn right at the mini roundabout onto the B2104 (Ersham Road). Follow the Ersham Road for exactly 1 mile then turnleft into Saltmarsh Lane. 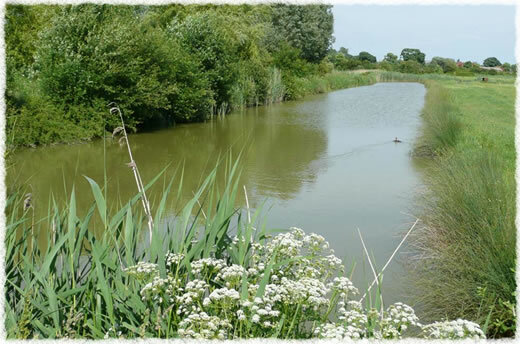 The fishery car park is situated 0.3 miles alongSaltmarsh Lane on your left hand side.